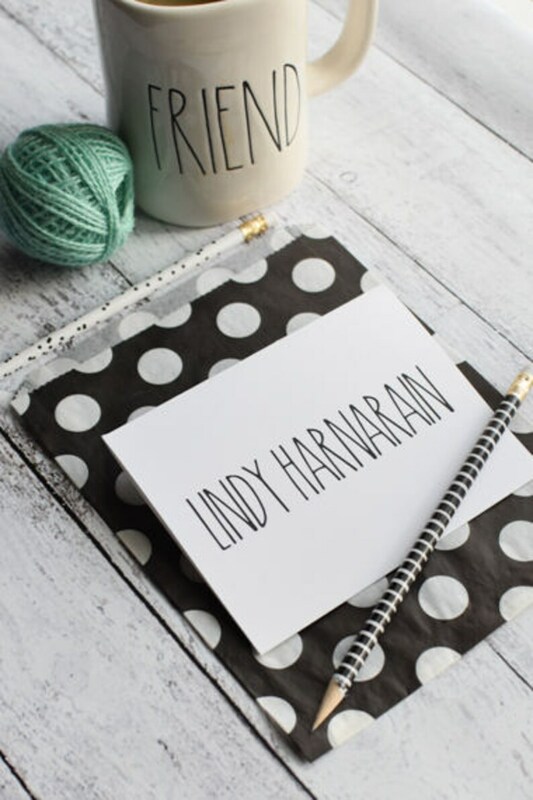 *These cards are perfect for the Rae Dunn fan but also work for anyone loving this unique font style! They are fun and modern note cards that work for any type of correspondence! Printed in black but color can be adjusted. **You will receive a proof within 1 to 2 business days upon payment. Once the proof is approved your items will ship within 2 to 3 business days.